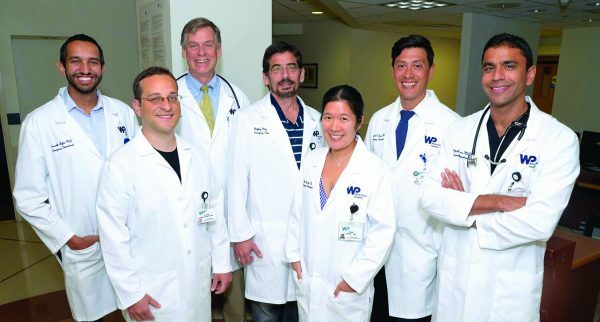 The team at White Plains Hospital Medical and Wellness in Armonk. Since last fall, Armonk residents have had one of the region’s top urgent care centers right outside their doors. 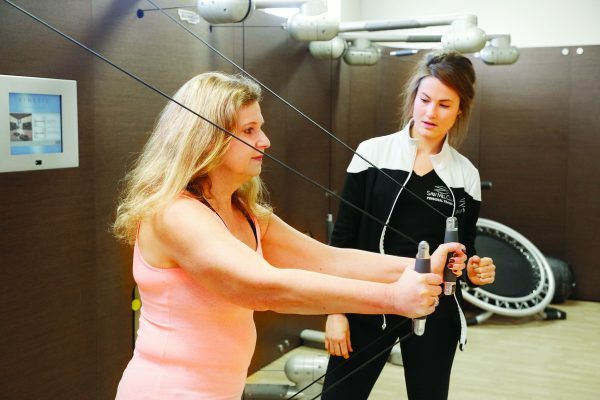 White Plains Hospital Medical and Wellness, a 24,000-square-foot facility on Armonk’s Business Park Drive, opened last November and has served thousands of patients from northern Westchester and Connecticut. The urgent care center is geared towards patients with injuries or illnesses that require immediate medical attention but aren’t necessarily serious enough to merit a trip to the emergency room. This includes sore throats, the flu, or common sprains. The center is open seven days a week, from 3 to 11 p.m. on weekdays and from 9 a.m. to 9 p.m. on weekends, while a full-service Diagnostic Imaging Center is open weekdays from 8 a.m. until 8 p.m. and weekends from 9 a.m. until 9 p.m. For more information, the public is invited to call 914-849-7900 or visit www.wphospital.org. 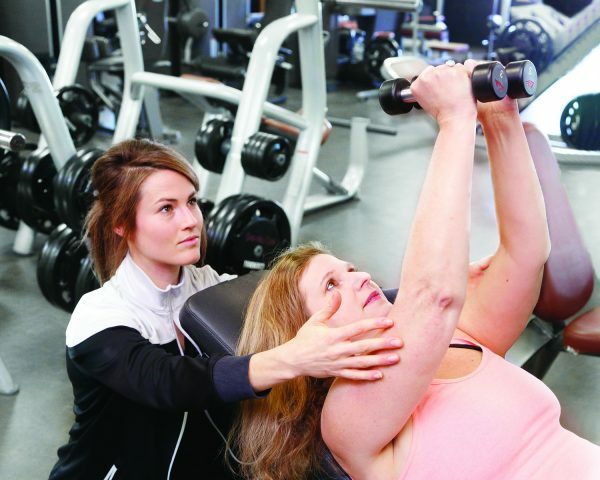 The center is located at 99 Business Park Drive in Armonk. The Quaker Meeting House, located behind Smith’s Tavern. 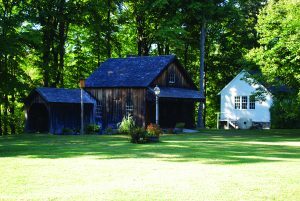 Today, North Castle’s historic buildings on Bedford Road in Armonk look tranquil, with the small schoolhouse and blacksmith shop serving as charming reminders of a simpler time. Two hundred and forty years ago, though, the site was a training ground in one of the world’s bloodiest, and most historically significant, geopolitical conflicts, as rebel militias headquartered in what is now called Smith’s Tavern, practicing their shooting in the fields out back. The town was viciously divided between rebels and royalists, a division that makes today’s political disagreements appear muted. 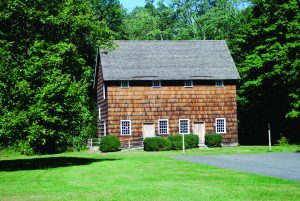 The North Castle Historical Society is located at Smith’s Tavern in Armonk. The North Castle Historical Society works to make sure this history is not lost for future residents. But preserving these aging buildings is not easy–or cheap. On Sept. 12, the historical society held its major annual fundraiser at Amore Italian Kitchen in Armonk, raising close to $15,000 for the society. With much work to be done, raising money is a year-round task, Tomback notes. So how does the society get the funds to keep up with everything it needs to function? 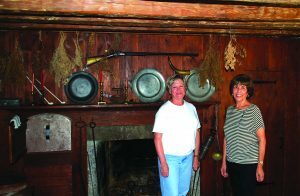 Town Historian Sharon Tomback (left) and Historical Society President Anna Maria Marrone at Smith’s Tavern in Armonk. “We beg,” Tomback says, laughing. The society has a list of around 500 donors, she notes, who consistently donate to the society to help it carry out its mission. “They are highly supportive, and have never turned us down.” Some even continue to donate after they’ve moved away. 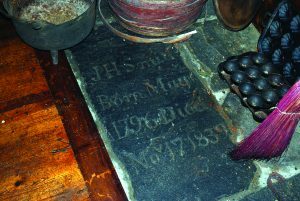 A tombstone was reused in the floor of Smith’s Tavern. Since 2012, Anna Maria Marrone has served as president of the historical society. Marrone, who has lived in Armonk for 42 years, was born in Italy, where some buildings date back thousands of years. Though the history of the United States doesn’t compare in terms of length, Marrone finds it no less fascinating. One of Marrone’s ongoing projects has been an effort to preserve and digitize old newspapers, dating back to 1913. 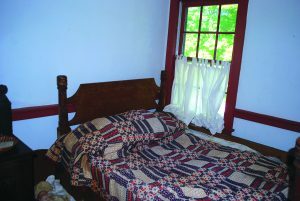 A rope bed in the bedroom of Smith’s Tavern. “They were going bad because we had no place to preserve them,” says Marrone. The society teamed up with the North Castle Public Library for the project and has managed to save many newspapers from the past 100 years. Next year, North Castle will be featured in a book from the “Images of America” series, which is sold at bookstores and features historical pictures from thousands of towns across the country. Tomback spent her spring and much of her summer preparing pictures and cutlines for the publisher. “For three months,” she recalls, “every time someone called I said, ‘Not now.’” The book is expected to be released in January or February. September’s fundraiser at Amore, which the society called “Partner in Preservation,” was sponsored by Houlihan Lawrence in Armonk. 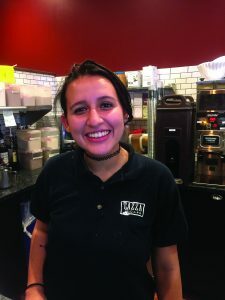 “It’s important to keep the heritage alive in the community, to show the things that made the different communities what they are, and to respect that history,” says Barry Graziano, Houlihan Lawrence’s Armonk manager. 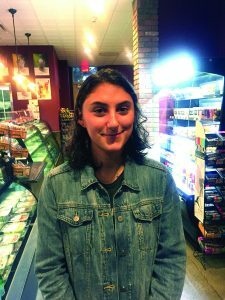 While Tomback and Marrone recognize the importance of wooing donors, their greatest focus is bringing children to the society’s facilities and connecting with them at a young age. A Colonial Crafts Day was held in October, and a Halloween party is scheduled for the end of the month. 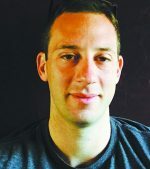 “If you get somebody interested early, it sort of continues for the rest of his or her life,” Tomback says. 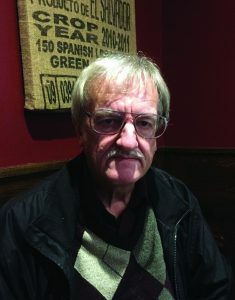 Run by volunteers, the historical society has a board of 23 trustees. 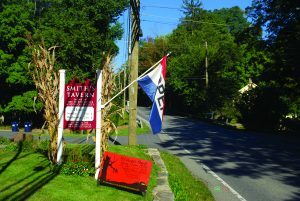 A team of about a dozen docents lead tours of Smith’s Tavern and other facilities, with the buildings open from 2 to 4 p.m. on Wednesdays and Sundays for visitors, with private tours also available.